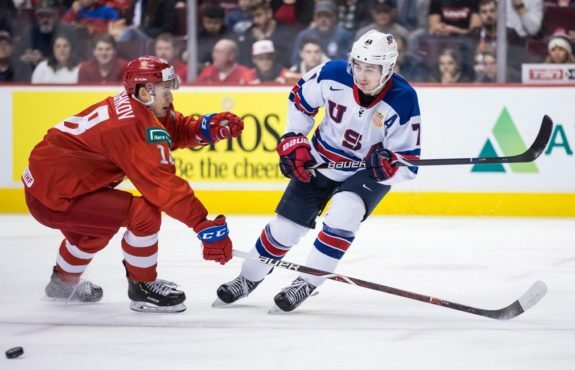 VANCOUVER — Quinn Hughes won’t be looking to put on a show when he makes his NHL debut with the Vancouver Canucks. 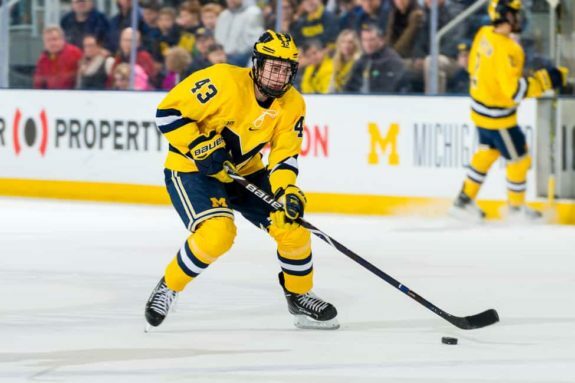 Hughes, the seventh-overall pick at last year’s draft, signed with Vancouver more than two weeks ago after his University of Michigan Wolverines were bounced from the playoffs. But the young blue liner suffered a deep ankle bruise while blocking a shot in the NCAA playoffs and the injury has delayed his first NHL game. That could change on Thursday when the Canucks host the L.A. Kings. Coach Travis Green said on Wednesday that he hadn’t checked in with the team’s medical staff but hopes Hughes will be cleared to play. Healing has taken longer than Hughes thought it would but he feels like he’s “pretty much” back to 100 per cent. “I feel good so whenever they tell me I’m playing, I’m going to play,” he said. Hughes has had company during his recovery. Fellow Canucks defencemen Ben Hutton and Chris Tanev have been nursing their own injuries. Hutton said Wednesday that he’s ready to get back in the lineup as soon as the team’s medical staff give their OK. Sitting on the sidelines with a fractured foot for more than three weeks has been “brutal,” the 25-year-old said. Time off the ice gave Hutton a chance to get to know Hughes. The newbie was quiet and shy at first, he said, but has since opened up and now asks a lot of questions. When he gets in a game, fans will be impressed, Hutton said. 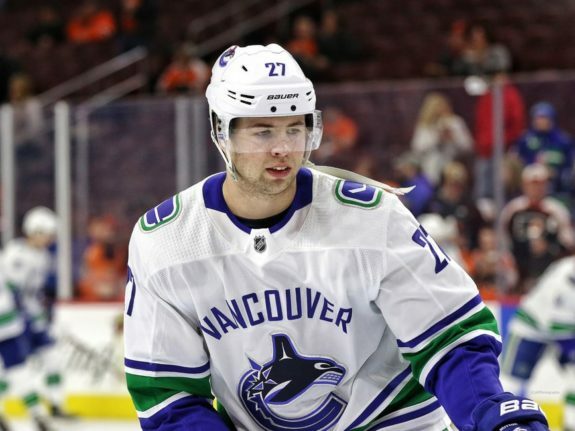 In his first full Canucks practice on Wednesday, Green paired the five-foot-10, 170-pound Hughes with Luke Schenn, a six-foot-two, 221-pound d-man who’s logged more than 700 NHL games. The set up simply made sense, the coach said, explaining that he likes his other defensive pairings and wants the left-handed Hughes playing with a righty. Schenn may also have some wisdom to share, Green added. A former fifth-overall Toronto Maple Leafs draft pick, Schenn knows what’s it’s like to be a young defenceman surrounded by big expectations. He jumped straight to the NHL in 2008, with his debut coming on opening night in Detroit — the same night the Red Wings were hoisting their Stanley Cup banner. Every player remembers their first game and Hughes will be no different, the 29-year-old added. Hughes grew up in Toronto and remembers watching an 18-year-old Schenn play for the Leafs.